Let's see, I really love the style of the W108 chassis Mercedes-Benz sedan, but I want the driving experience of a Chevrolet Impala SS. What to do, what to do? Oh...I know, drop an LT1 into the W108 and call it done. 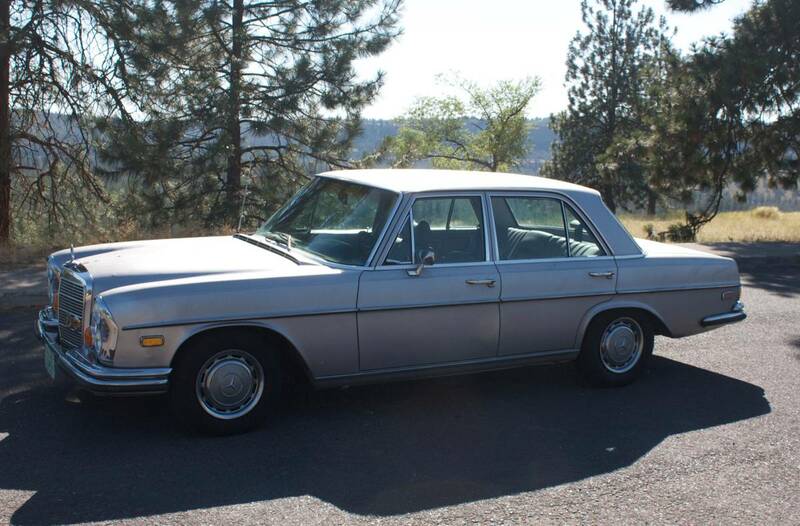 Find this 1970 Mercedes-Benz 280SE 5.7 LT1 V8 offered for $5,500 in Spokane, WA via craigslist. Tip from FuelTruck. 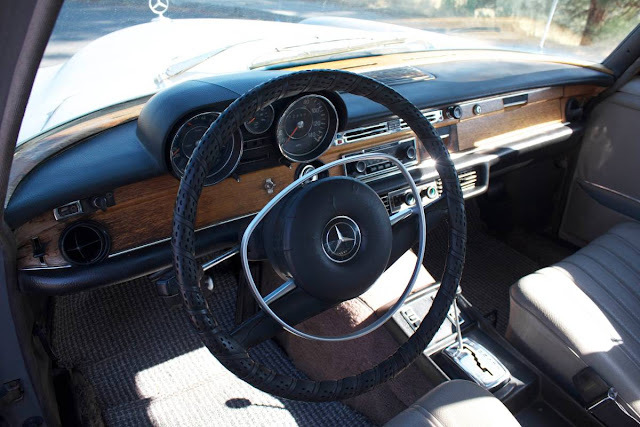 The W108 Mercedes-Benz S-Class is one of DT's favorite classic sedans and you'll see examples all over the place around here...check out some of the previous winners. The common themes in those articles include; elegance, class, smoothness, & classic...but today we add the phrase "el tee juan". 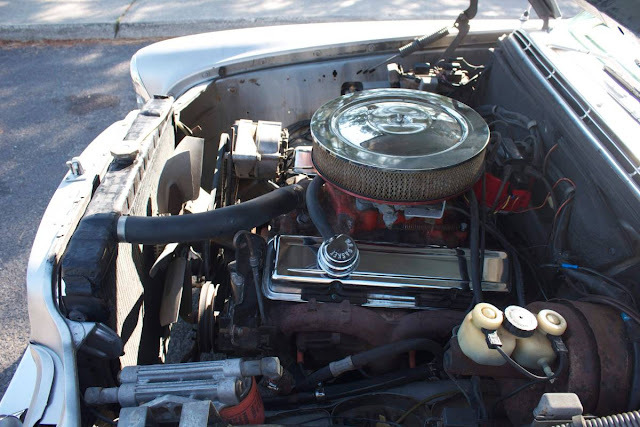 This LT1 under the hood is missing its fuel injection equipment and is fed via a classic carburetor setup, but take a gander at the size of that external oil filter contraption. With two fram filters and giant hoses full of excess oil, you should be able to go about 50,000 miles before changing the oil. Whatever that motor is, it isn't the '90s era LT1 - the coolant routing is wrong, and it has perimeter bolt valve covers. It's possible that you're looking at a '70-'72 LT1, but it appears to have a cast iron intake manifold, which isn't correct either. Probably just your average 350 4 barrel and a seller who thinks any 350 is a Corvette motor. Still, looks like it would be a pretty decent cruiser with plenty of power. I wouldn't cross it off my list over the seller being confused over the engine. So awesome. My only issue would be resisting putting a bunch of speed parts on it aluminum heads better intake, full length headers ect. I pretty sure this has factory airbags that I wold need to replace with standard springs. -Electric window motors and relays (hey, it's almost 50 years old, this stuff wears out). -Buy a Toyota with less than 100K on it so you can drive on the days when the 280SE does not start (or stop, or shift, or...). Buy a Toyota you like. Because you'll be spending a lot of time in it. I'd want to hear a little about how the crossmember and oil sump were made to play nicely. A Nova oil pan would be a start but I think even then there would be some sawzall shenanigans. I agree, and I'd bet that it's related to the relocated oil filters. I'm in agreement that the crazy filter setup isn't so you can do NASCAR style oil changes, but has to do with the oil pan and crossmember setup. Remember that W114 where the guy had a 2JZ mounted in it ...but only sitting on the crossmember for photo purposes? That was funny.